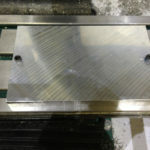 Put a pair of aluminum softjaws on the vise, stick an appropriate endmill in the spindle, and mill a step in the jaws. Do so with something being gripped in the vise below the step level. That step is now perfectly in tram because you cut it on the machine. Put a part on the step and it’ll be in tram and ready for you to go to work on it. If you have a decent quality straight edge that’s a yard or a meter long, put it in the vise, accurate edge up. 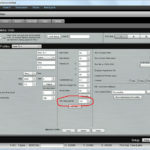 Sight that edge against a known straight feature on your machine table like a T-slot edge or the back edge of the table. Position your head the align the straight edge with that table edge so you can see both ends of the straightedge without moving your head–just move your eyes. 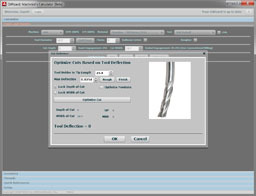 Now adjust the vise until the edge appears to be exactly inline with the table feature–in other words, until you see a constant thin gap. Fast and easy, right? But how accurate? Let’s use G-Wizard Calculator to find out. We’ll start by asking how accurate a normal indicator sweep tram is. 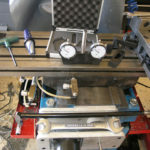 Assume 6″ wide vise jaws, and further assume we sweep to an accuracy of 0.001″ across that 6″ distance. What’s the resulting angle? The maximum error we measure, 0.001″ with the indicator, goes on the left leg of the triangle. The 6″ jaw length goes on the bottom. 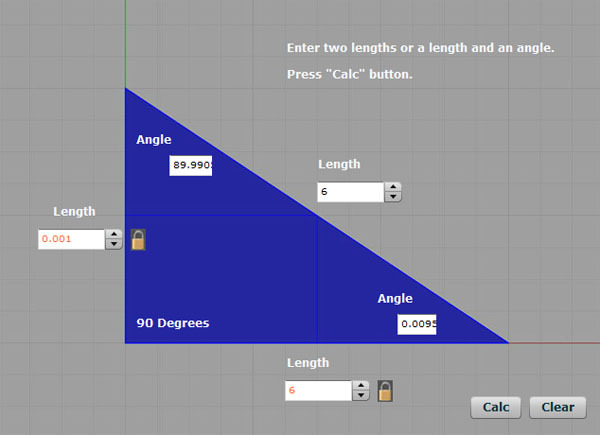 We press “Calc” and the result is an error of 0.0095 degrees or less. This method is obviously a lot less accurate: 0.0796 degrees versus 0.0095 degrees–about 8x less accurate. This is what you’d get if you indicated to within 0.008″. It’s probably not going to work out for a lot of jobs unless you can site it more closely than 0.050 in the gap. I did some experiments and I can personally see the gap accurately down to a small enough size to be good to an indicated 0.001″ tram. If you want to use this method, you should do the experiments just to calibrate your Mark I Eyeballs to what’s required, gap-wise. Just knock the vise out of tram, retram using the straightedge, and then sweep the result to see how far off you are. 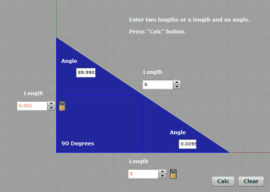 I find I use G-Wizard’s trig calculator all the time for this kind of problem. 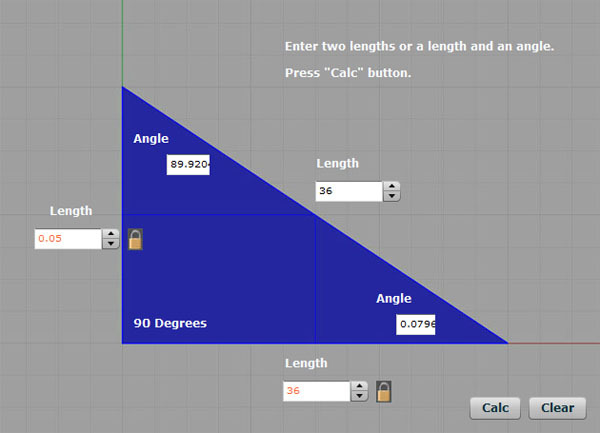 If you want to try G-Wizard Calculator, just sign up for our free 30-day trial. I couldn’t resist using the “weird trick” meme in the title even though we’re not talking about belly fat loss innovations! 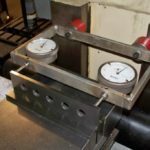 How Can I Calibrate the GW Editor Run Time Estimates for My Machine? Key your vise to your tee slots. If your vise does not have key slots, cut them by. 1. 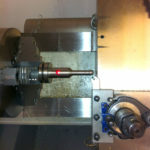 Machining key stock to fit snuggly into machine tee slot. 3. machine keyways in vise base. I have three vises done this was.